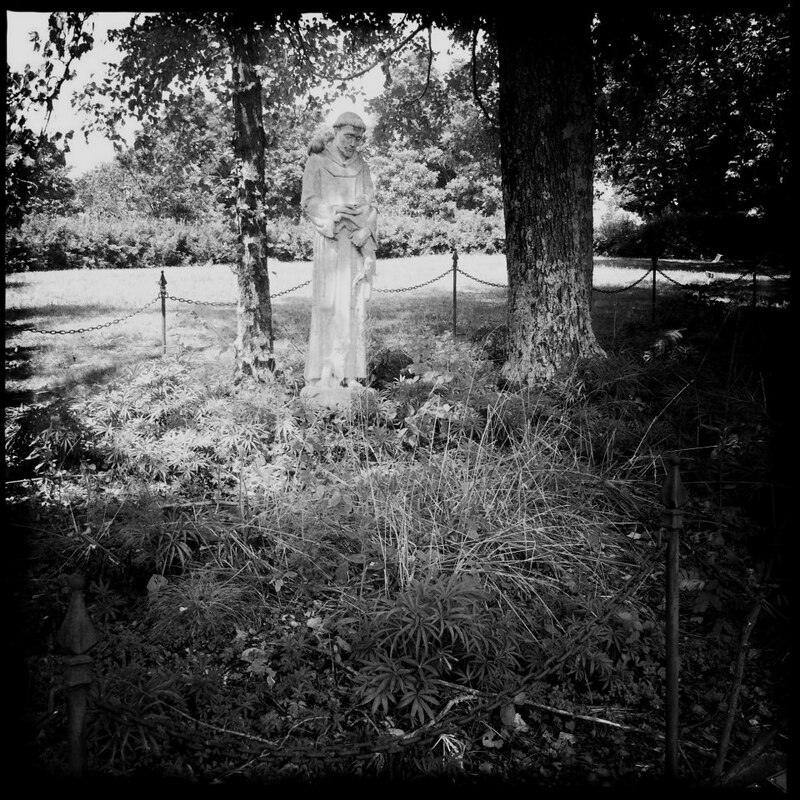 This is the statue of St. Francis of Assisi, the patron saint of animals and ecology which stands amidst the ashes of a number of pets in a special section of Lynchburg’s Old City Cemetery. From the hill where the scatter garden is located one has a lovely view of the pond and a dovecote. 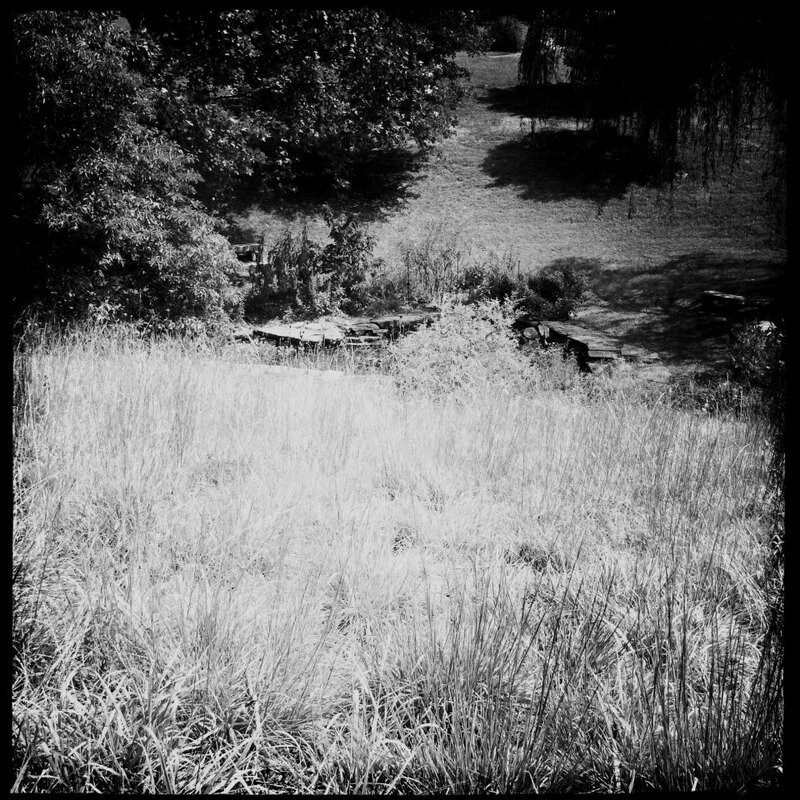 It’s a very serene spot to be located so close to the downtown area. 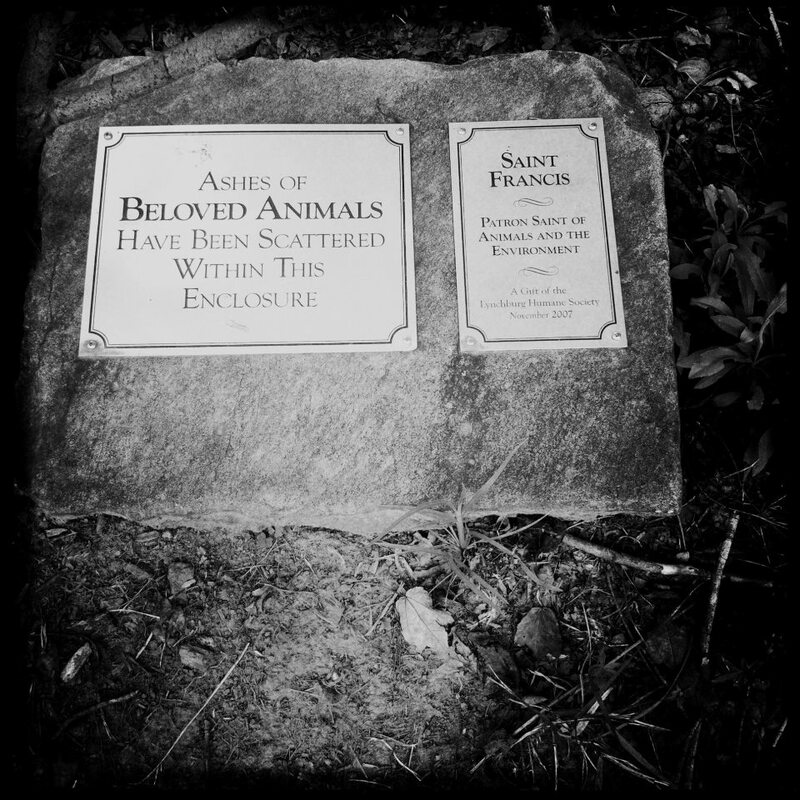 Our trip to OCC was last minute, so I wasn’t even aware of the Scatter Garden for the Ashes of Beloved Animals but upon finding it I was especially moved. People who don’t live with animals probably roll their eyes at the notion of planning special send-offs for pets or for doing more than flushing the proverbial goldfish down the toilet, but for many people a pet is another member of the family. 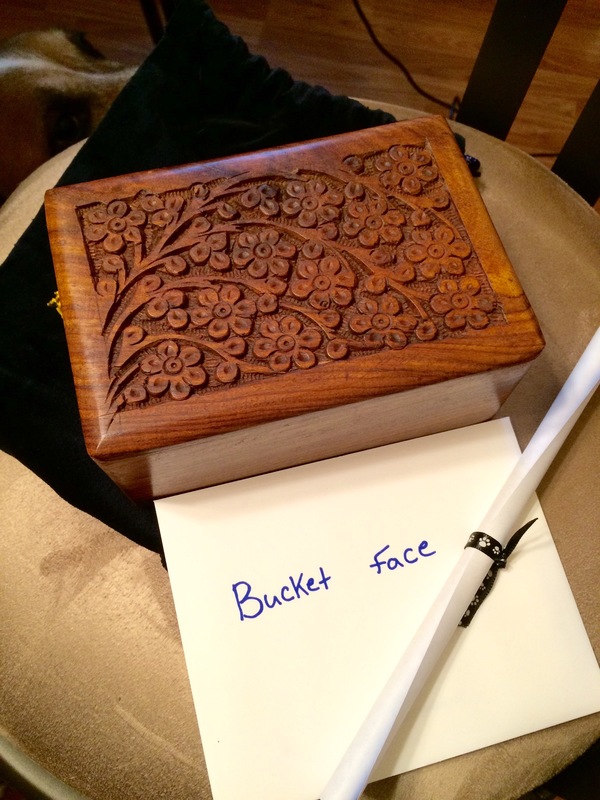 When such a family member passes away, the grieving process begins and for many people this process includes doing something to preserve and honor the memory of the dead. 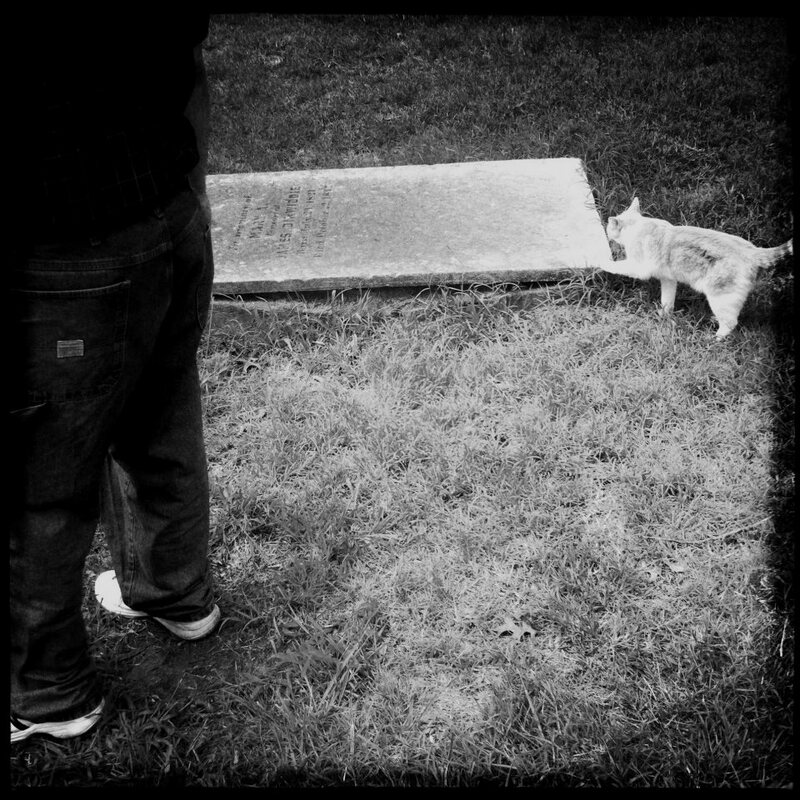 While visiting the main part of the cemetery, an orange cat decided to give us the guided tour. 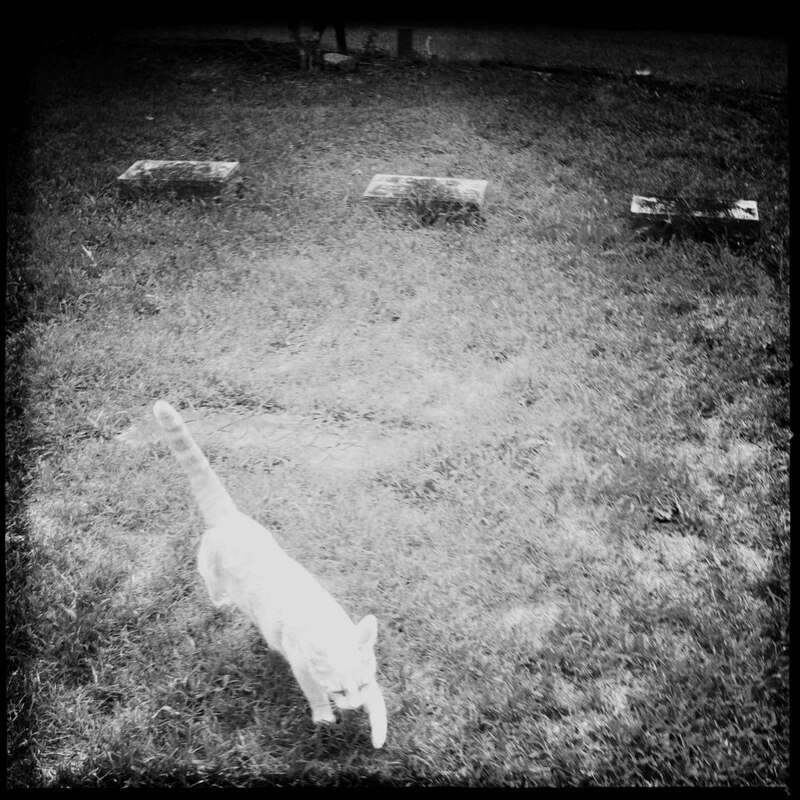 It seems like at least of half of the cemeteries that I visit have cats roaming the grounds. Our guide reminded me of Ginger, my 20-year-old cat that died earlier in the year. 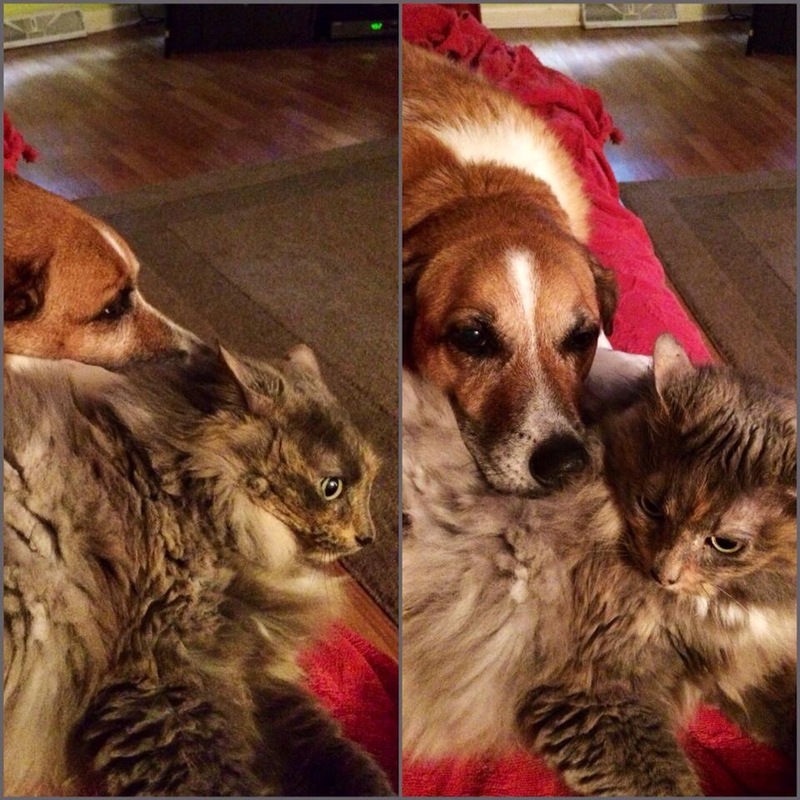 I’m not sure if this particular cat has a name. 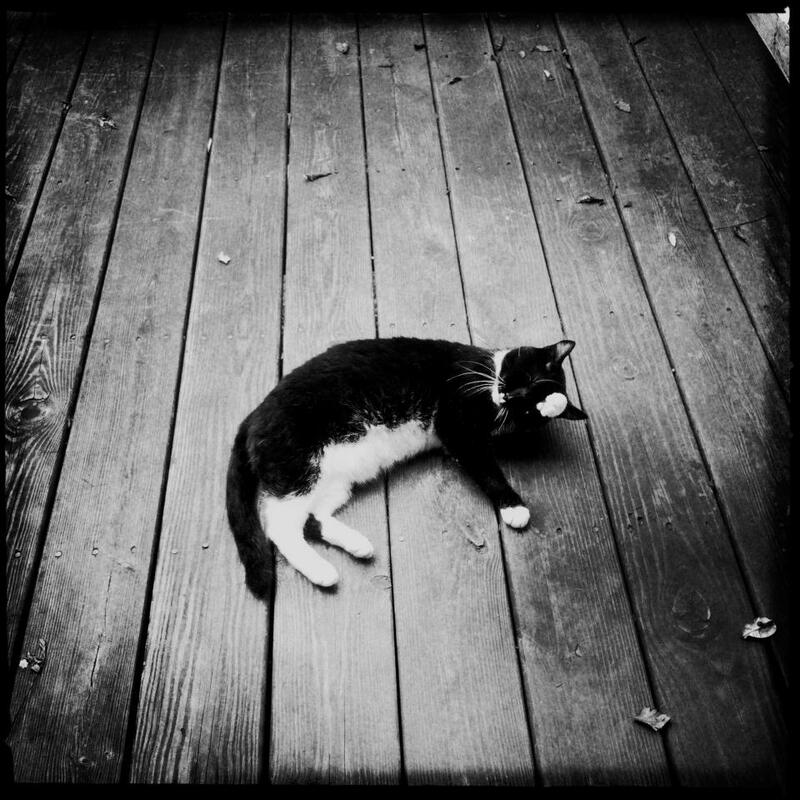 There is a black and white cat named Arthur that’s known as the cemetery’s resident cat. 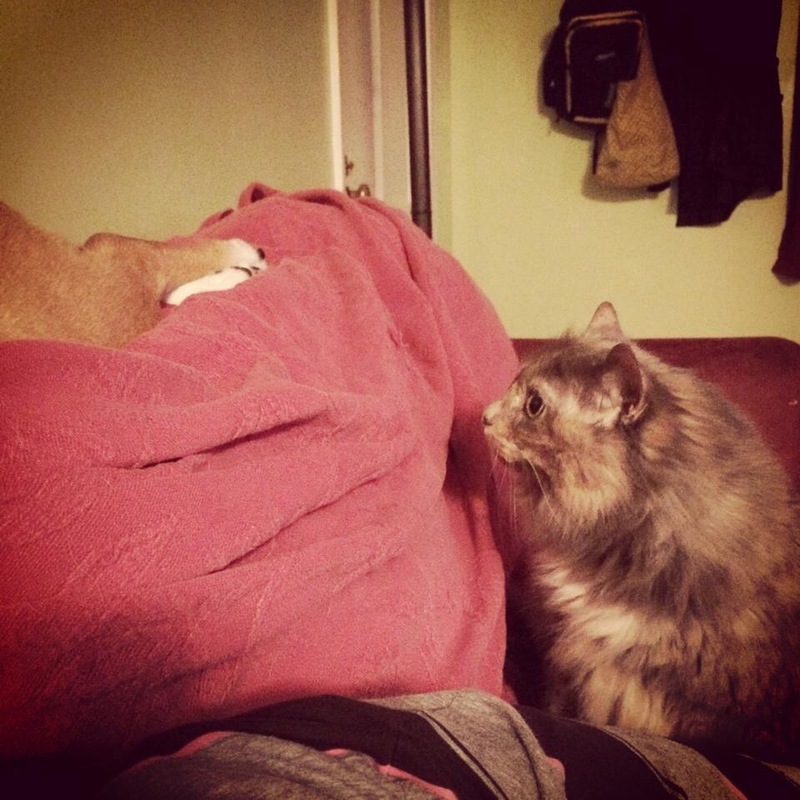 Update-Feb. 2015: I’m reblogging this entry in light of the recent loss of my cat, B. 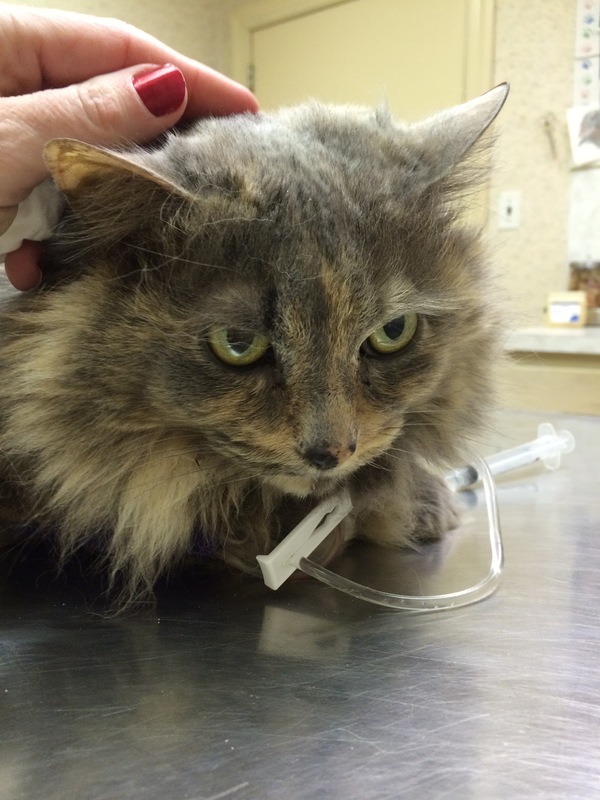 She had an undiagnosed and untreatable heart condition that manifested following a freed blood clot. Requiescat In Pace, old friend. 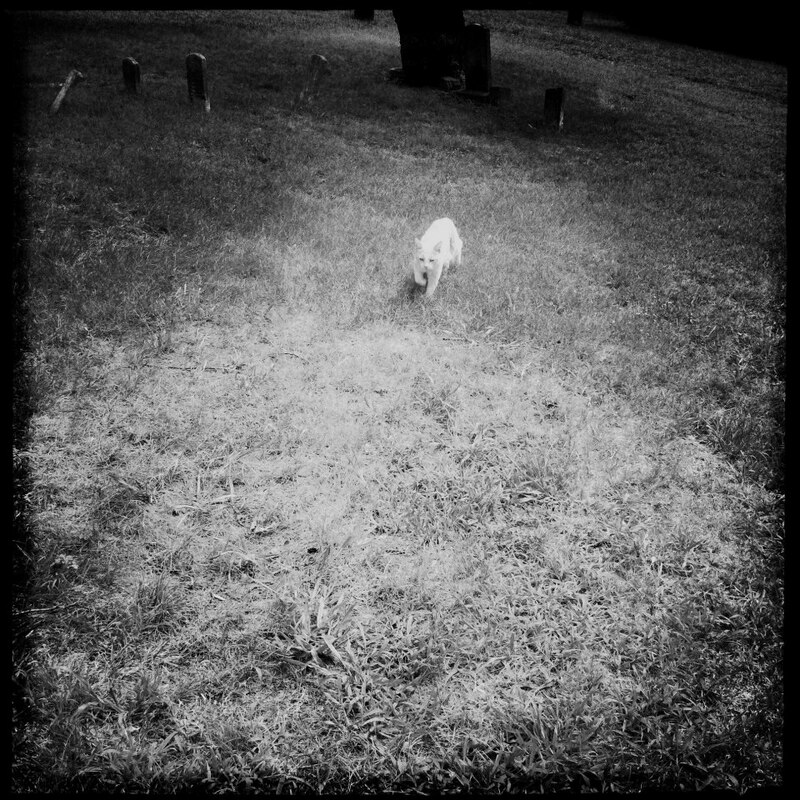 I have recently discovered that we have a pet cemetery in the area – though it seems to be well hidden, down a sideroad and an unmarked lane. But I must venture out there in the spring to have a look. Reblogged this on The Dead Bell. Previous Previous post: Sarah J. Palmer – "Giving Birth to her First Born Babe"